Originally from Padua, Paola has the distinction of being one of 40 students in the 50-year history of the École Internationale de Théâtre Jacques Lecoq to have been certified as a pedagogical specialist under the direction of Lecoq himself. Paola also holds a degree in Classical Studies, a Master's in Architecture, design & textile work. She has a certification as a personal trainer and bodywork professional in massage and nutrition balance. She also has studied the holistic practice of art therapy in theater, painting, and sculpture. Recently she completed her certification as Mental Coach with a specialization in Art, Sport and Business. In her theatre career, she has worked as mostly teacher and coach but also artistic director, producer, and actress, in Italy, all over Europe, Israel and the US. She has more than 20 years experience leading international theatre companies in the areas of producing, directing, acting and teaching a movement-based, physical approach to theater creation. She is the founder of the gym Linea e Sport, where she trained athletes for competition. In Italy, she also founded the cultural arts organization Fantàsia, where she hosted workshops and seminars dedicated to the research of art, theatre and self-development. This organization developed into the international theatre company and school Kìklos Teatro, which she co-founded with Giovanni Fusetti and Sean Kaplan. The school was awarded the Gemini d’Oro for Best Show at the ROMA TEATRO Festival’ for Italian Theatre Schools. 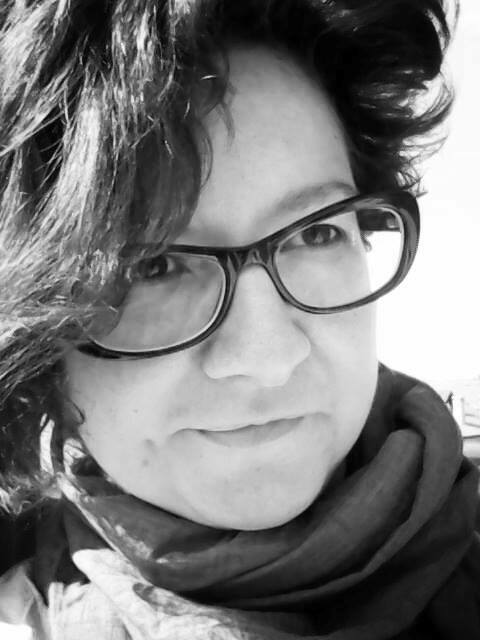 Paola relocated to Chicago, USA, in 2004, and since then, she has created a wide net of collaboration in teaching and directing, as well, partnering with many universities and various theater companies. In 2012 she was ready to restart a new school and she founded The School for Theatre Creators, where she leads a team of teachers with a wide diversity of experience in acting, directing and writing. Paola and The School, moved from Chicago to Los Angeles and now back to Italy where it all started ….once upon a time….! Ned began his life in the theatre very early on. His parents, Mary Waldorf and Bert Brauer, were members of The Actor’s Workshop in San Francisco, a professional theatre company and one of six companies that laid the foundation for the regional theatre movement in the US. Ned made his debut at age four with the Studio Players, the children’s theatre wing of The Actor’s Workshop. He continued to study and perform, as well as occasionally write and direct, through elementary and high school. He studied theatre and film at Humboldt State, completed the yearlong Overseas Course at London Academy of Music and Dramatic Art and graduated from Ecole Internationale de Theatre Jacques Lecoq in Paris. Ned earned a bachelors degree in fine art from California College of the Arts in San Francisco, with a specialization in installation art. He completed the advanced year in clown at the Clown Conservatory at San Francisco Circus Center and the pedagogical year at The School for Theatre Creators. Ned has been teaching at The School since 2013. He has led workshops in various physical theatre styles at Theatricum Botanticum in Los Angeles and the School for the Art Institute in Chicago among other venues. As a performer, Ned has joined the ensembles of the Alley Theatre in Texas, Theatre Grottesco in Santa Fe, The Actors Gang in Los Angeles, Hoipolloi in England, Touchstone Theatre in Pennsylvania and others. He has worked on devised pieces, both in groups and as a solo performer, earning a Backstage West Garland award for adaptation for his one man show, Wilde Childe, based on a fairy tale by Oscar Wilde. He is a founding member of Playwrights Theatre of New Jersey, where he taught playwriting to court appointed youth and is a member of the Actors Equity Association. Descending from the family of the last Vietnamese emperor Bao Dai, Master Bao Lan was born in Vietnam and as a young man, he practiced martial arts in various disciplines, including Judo and Tae Kwon Do but he found his true passion in the study of Viet Vo Dao, Viet Tai Chi and Vo Co Truyen. When he relocated to Italy to attend the university of Padua, he began teaching and spreading the Viet Vo Dao discipline, almost unknown in the country. Since then, he has spread these disciplines widely throughout Italy. Faithful to his "Vo Danh" (art name), which is Kim Long (Golden Dragon), a synonym for nobility, strength and elevation, Master Bao Lan returns home every year to continue the study of Traditional Martial Arts, combat and traditional medicine. 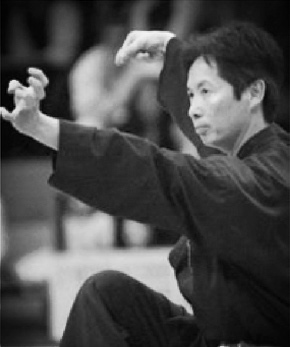 Friend of all practitioners of Martial Arts, Bao Lan often holds seminars and open workshops in all styles. His traditional approach is linked to a modern mentality that allows him to combine the Oriental spirit with scientific methods of working: this has allowed him to bring his students to high levels of preparation. He currently operates his own gym in Padua, Palestra Bao Lan, and he is also the 7th Dang International Expert; Member of the International Federation and Council of Masters of Viet Vo Dao; Technical Director of the Veneto and Lombardy regions; President of the Viet-Boxing Federation of Italy and President and Technical Director of the Federation Viet Tai Chi Italy. Due to her preceding professional skills in administrative and commercial areas, Monica runs the administrative office at The School for Theatre Creators. She also shares the physical preparation classes with Maestro Bao Lan. She began training in martial arts eleven years ago and she is certified as an instructor 3° Dang at the Federation Viet Tai Chi Italy, under the direction of the Grand Master Bao Lan, President and Technical Director of the Federation. During her long training, Monica also had the opportunity to meet and train under the direction of GM Charles Phan Hoang, one of the leading representatives of Vietnamese Martial Arts who founded Viet Tai Chi in 1990 and who forged a new approach to introducing Martial Arts in the west. During her 2011 journey in Vietnam she had the chanche to train with Master Dong Vu, one of the most highly regarded Vietnamese experts in Chi Kung, the ancient thousand years old technique of circular respiration, or “breath discipline”. Monica is a certified trainer of Viet Tai Chi by the “Italian Federation Wushu Kung Fu” an umbrella organization for all Vietnamese martial arts disciplines, recognized by Coni - Italian National Olympic Committee. This Padua bases company has deep theatrical roots. Two of the company’s members, Romina and Cristina Ranzato, were born into the profession. Their father, Mario Antonio Ranzato, founded the theatre company, La Ribalta, and the two sisters both started to perform with the company at a young age. They were soon joined by Ivan di Noia and Mirco Trevisan and after years of working together, they developed the family company into Barabao Teatro, a professional theatre company that produces devised performances. The company also has a very active educational department. Barabao Teatro’s members are all graduates of LISPA London International School of Performing Arts. ROMINA RANZATO is founder and artistic director of BARABAO Teatro. Romina started performing at 9 years old with the company “La Ribalta” directed by her father Mario Antonio Ranzato. She started her education by taking part in performance workshops and theatre techniques based on Commedia dell’Arte at TAG in Venice. Her professional education was completed between 2000 and 2002 at the International school of Integrated Theatre. At the same time she studied theatre therapy at ATE (Association of European Theatre Therapists), in collaboration with La Sapienza University in Rome, graduating in 2003 as a theatre therapist. She also trained in puppetry and holds a Master in Devising Theatre and Performance from - London International School of Performing Arts.. Romina collaborates with several schools as expert advisor for the direction of children workshops in primary schools. She began working as a director in 2006, curating or supervising the production of theatre productions by different companies in Veneto. She prepares and performs readings from classic novels and folk tales for children, teenagers and adults in collaboration with city councils and public libraries. IVAN Di NOIA is founder and legal representative of BARABAO Teatro. Ivan started working as a performer at the age of 15, with the company San Girolamo, directed by Domenico Valente. He also developed his talent as an author of plays in “pugliese” (a dialect belonging to the Puglia region) He continued his career as actor and dancer with the Agency Gepratour, taking part in multiple musicals. Di Noia completed his education between 2000 and 2002 at the International school of Integrated Theatre in Rome. Within the frame of his education he also attends courses following the K. Stanislavskij method. Ivan also holds a Master in Devising Theatre and Performance from - London International School of Performing Arts. He collaborates with several schools as expert advisor for the direction of workshops. As director he curates and/or supervises theatre productions with several theatre companies. He prepares and performs lectures for young and adult audiences with city Councils and public libraries in the Veneto region. She started performing at the age of 8, directed by her father Mario Antonio Ranzato. Her studies included the two-years professional program at Kiklos, International School of Theatrical Creation in Padua, directed by Giovanni Fusetti and Paola Coletto. Other instructors included Renato Gatto, Bruno di Loreto Wurms, Sean Kaplan, Malachi Bagdanov, Norman Taylor, Boris Rouge, and Cyrille Bertrand. She also studied opera as coloratura soprano with Massimo Dal Checco Modoni and she is the winner of the “Gemini d’oro” award as best voice at Roma Teatro Festival 2004. Cristina holds a Master in Devising Theatre and Performance from - London International School of Performing Arts. She prepares and performs readings from classic novels and folk tales in collaboration with Bacino Bibliografico della Saccisica and with the Association of pediatricians in Padua “Nati per Leggere (Born to read)”. She coaches artists following the pedagogic method of Jacques Lecoq. 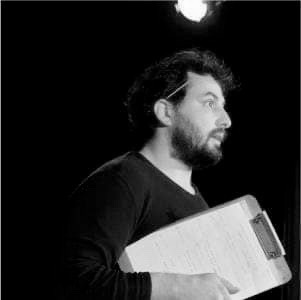 MIRCO TREVISAN is a permanent member and actor at BARABAO Teatro. Mirco started his career through the study of Commedia dell’Arte with Carlo Boso, Cristiano Roccamo and Luca Cairati. He attended the International Academy of Commedia dell’Arte founded by the Piccolo Teatro in Milan and directed by Ferruccio Soleri and Stefano De Luca. He also deepened his studies of construction and use of masks in the Human Comedy with Matteo Destro before moving to London and Berlin where he gain a Masters in Devising Theatre and Performance from - London International School of Performing Arts. But it was with the studies on Clown as therapeutic and poetic-theatrical figure, that he found his passion. For so, in 2011 he co/founded NASO NASO Social Clown in Ostuni (BR). He is a performer and a coach. 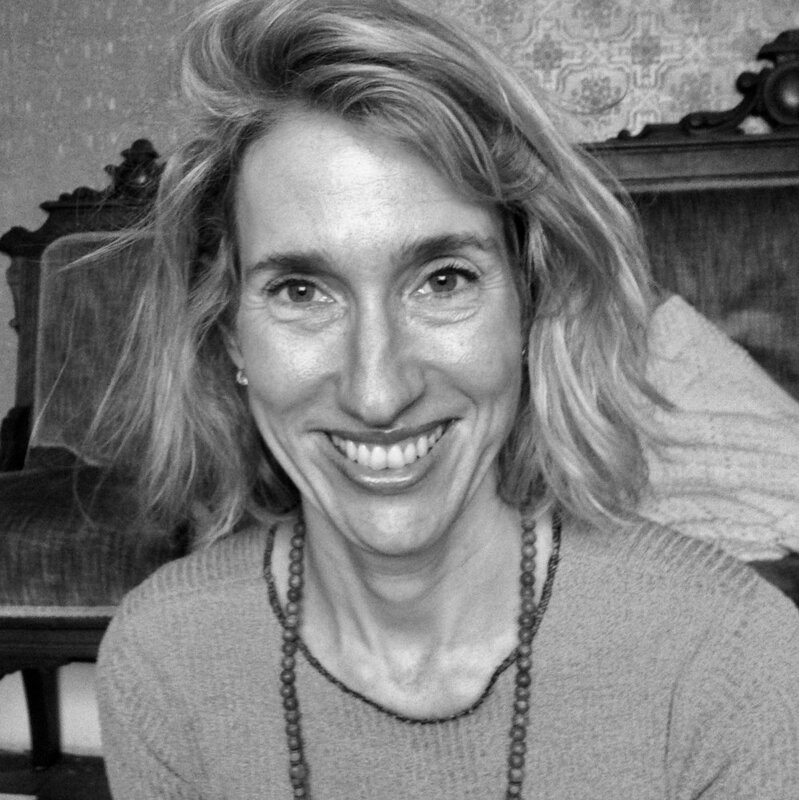 Amy studied at the Ecole Jacques Lecoq from 1990 to 1992, and completed her pedagogical training with M. Lecoq in 1997-1998 making her one of forty students in the world to have completed the pedagogical program as a teaching specialist. Also at the school in Paris, she completed the course in scenography (Laboratoire d'Etude de Mouvement), she holds an MFA from the University of Tennessee, a certificate from the London Academy of Music and the Dramatic Arts (LAMDA) and ultimately she studied mask creation with Donato Sartori in Italy, and I Made Muji in Bali. After her training in Paris, Amy created a complete training based on Lecoq’s pedagogy under the auspices of Naropa University: The Naropa MFA in Actor Created Physical Theatre. She is Co-Founder of the London International School for Performing Arts (LISPA) where she taught for the past thirteen years. She has taught workshops and trainings all over the world, independently and for theatre schools and universities. Amy is also a Gestalt based psychotherapist. Currently she is pursuing doctoral studies at Goldsmiths, University of London, on an interdisciplinary topic relating psychology, spatial practices, and devising pedagogy: The Geodramatic Territories: Practicing Lecoq’s Psychic Space/Time as Critical Spatial Practice. Her supervisor is Dr. Cass Fleming. Originally from Padua, Sara joined her first theatre company when she was 14 years old. She graduated in Literature and Philosophy at Università degli Studi di Padova in 2012 and then studied Lecoq based physical theatre with Giovanni Fusetti and Matteo Destro in Florence, Italy, and with Paola Coletto in Chicago, USA. Sara works as a theatre performer and physical storyteller for libraries, theatres and public schools, both in English and Italian. She teaches theater in several schools around Padova and all over Italy. She is particularly interested in ensemble theater, physical storytelling and mask work. Sara is also interested in exploring theatre and its connection with music. For so, she recently started studying it and joined the teaching team at CollinArte, an organization comprised of musicians, actors and set designers interested on exploring the connection between human beings and nature through music. Originally from Voghera, Andrea graduated at Piacenza Conservatory. He plays drums and percussions. He worked with Umberto Petrin, C.S.M Big Band, Sacher Quartet, etc,…He plays with different music groups and teaches music. He became part of Collinarte teaching team in 2017. Originario di Voghera, Andrea si è diplomato nel 2016 al Conservatorio di Piacenza in batteria jazz. Può vantare collaborazioni eccellenti, come quella con il pianista jazz Umberto Petrin, la C.S.M. Big Band di Voghera e con il Sacher Quartet, con il quale si è esibito presso l’Ambasciata italiana a Parigi. Partecipa a diverse formazioni con repertori che spaziano dal pop al funky, dal soul al jazz. Dal 2017 è docente di percussioni nei corsi di CollinArte. Mirko started studying piano when he was a child, graduating from the Music Conservatory “A. Vivaldi” of Alessandria years later. He has a lot of different music projects going on and teaches music in Torin. Mirko gave birth to the first Collinarte project, between music and theatre.
. Mirko si è appassionato allo studio della musica fin da piccolo e ha conseguito il diploma in pianoforte presso il conservatorio “A.Vivaldi” di Alessandria, contemporaneamente a una laurea in ingegneria informatica. Da allora non ha mai smesso di esplorare le diverse possibilità del suo strumento e la relazione fra questo e lo stare in scena. Mirko è coinvolto in diversi progetti musicali e attualmente insegna musica in una scuola secondaria a indirizzo musicale di Torino. Insieme ad Alessio Zanovello ha avviato il primo laboratorio CollinArte, percorsi tra musica e teatro. Originally from Voghera, Alessio is a multi-instrumentalist player, specialised in clarinet. He works with different music genres: classical, jazz, contemporary, popular, kletzmer. He studied improvisation at Alessandria Conservatory. Alessio is also an actor and a theater director. He currently teaches music in Milan and theatre in different schools around Pavia. Alessio è un polistrumentista specializzato in clarinetto, strumento nel quale si è diplomato presso il Conservatorio di Pavia. In seguito ha studiato improvvisazione jazz al Conservatorio di Alessandria. Diversi sono i generi musicali nei quali si applica: classica, jazz, klezmer, musica contemporanea e popolare. Alessio è inoltre attore e regista. Attualmente insegna musica a Milano e tiene laboratori di teatro e musica in diverse scuole della provincia di Pavia. Insieme a Mirko Taurino ha avviato il primo laboratorio CollinArte, percorsi tra musica e teatro. Brett Hershey is an AMSAT-certified Alexander Technique Instructor and Consultant in Los Angeles specializing in psychophysical re-education. He earned a B.A. from Williams College in 1994 and Alexander Technique certification from ATI-LA in 2008. Brett is highly effective at decreasing discomfort and pain while increasing performance quality and charisma. His passion: to dissolve all that is in the way of performers connecting with themselves, characters and audience. In addition to his private practice and consulting work, Brett is an Adjunct Professor of Theater at Relativity School, Director of the Healthy Back program at UCLA and on staff at the John Rosenfeld Studios. Sarah is a a writer and performer with an MFA in Ensemble Devised Physical Theatre from the London International School of the Performing Arts, in the pedagogy of Jacques Lecoq. She has taught movement at the William Inge Center, Cal Arts, Aquila Morong Studio and University of the Arts. She was a 2014 Artist Fellow for the Dalai Lama’s Mind & Life Institute, which studies the intersection of humanities, sciences, and contemplative studies, and researches the relationship between the physical body and psychological states of mind. She wrote for David Milch on the HBO series Luck. She was a consulting producer for Emmy-awarding winner Bernie Su’s drama, Socio. Sarah's original drama series, Bunkered, was selected as a finalist for the 2016 Sundance Episodic Storytelling Lab. She was an original writing/devising member of the play Pay Up with Obie Award-winning Pig Iron Theatre Company. Sarah is currently a member of Ensemble Studio Theatre in Los Angeles. A former student of the legendary master of mime Marcel Marceau, Lorin is a graduate of Marceau’s École Internationale de Mimodrame de Paris, and holds a Bachelor’s degree in Theatre Arts from California State University, Northridge. Lorin founded Mime Theatre Studio in Los Angeles, where since 2001 he has taught actors and all types of performers how to master the body as an instrument of theatrical expression. He is a mime and movement coach for major Hollywood film and TV productions, has coached the Las Vegas performers of Cirque du oleil, and teaches character movement to animators at leading animation studios and schools in the U.S. and abroad. As a theatrical mime and verbal theatre actor, Lorin has performed in Paris, Israel, New York, Las Vegas, and Los Angeles. As a screen actor, he has appeared in numerous films, TV shows, and commercials, including as a performance capture and character movement reference actor for animated productions. Ernie has been a gymnast since he was eight years old, and a Stuntman for Film and Television for over 30 years. Ernie's experience holds roots in Santa Monica Old Muscle Beach where he learned acro sports from Bob Yerkes and Jack LaLanne in the 80s and 90s. His circus skills include everything from the trapeze to Russian pole. He has also coached kids' gymnastics, acro sports, and cheerleading for over a decade. 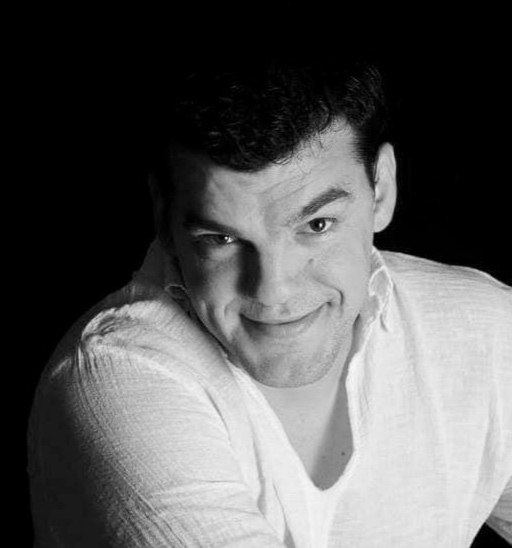 Michael has worked as an actor, director and producer throughout the central United States and internationally. 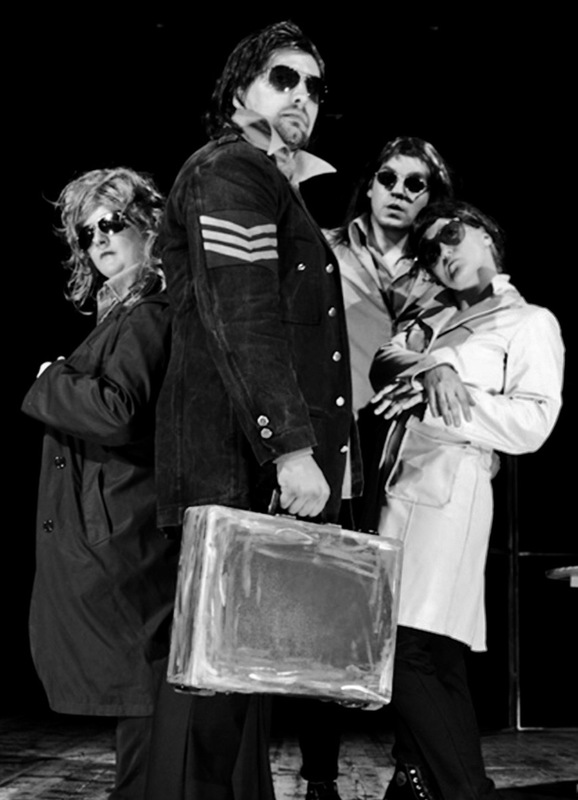 He is the co-founder of ShadowApe Theatre, a critically-acclaimed experimental theatre company in Indiana, with whom he devised, produced and performed over eight seasons, in addition to his work at a number of major regional theatres in the US. Michael holds a Master of Fine Arts in Acting from the Professional Theatre Training Program at the University of Wisconsin, and was a member of the first graduating class at LISPA - London International School of Performing Arts - where he became a member of their faculty team for several years before relocating to Chicago in 2014. Marc is an actor, deviser, educator and Chicago native who has performed and produced work in Brazil, Ireland, Spain, the USA and the UK. He has also taught workshops in Lecoq, Viewpoints and Clown in Brazil, the USA and the UK. Marc graduated with his MFA in Lecoq-based Actor Created Theater from Naropa University in cooperation with the London International School of Performing Arts (LISPA). He currently devises work with his company, Theater Unspeakable. You can learn more at www.theaterunspeakable.com. Daria is an actress, AmSAT Certified Alexander Technique and Teacher Trainer. She earned her certifications in London in 1982 under the director of Don Burton at the Alexander Teaching Associates. She is the founder of ATTIC (Alexander Technique Training in Chicago), a three year AmSAT Certified Teachers Training program currently based in Chicago (formerly Charlottesville, Virginia). She obtained her BFA in Acting at Carnegie Mellon University, her MFA in Acting at the University of Virginia (2011) and has studied clown with Merry Conway, Dody Di Santo and Christopher Bayers. Daria also completed her Yoga Teacher Certification in 1983 and has brought the Alexander Technique to universities, wellness clinics, theatres, yoga centers and dressage communities. Bernard Hiller is the owner and founder of the Bernard Hiller: Acting and Success Studio, based in Los Angeles. His combined experience as an actor, producer, director and success coach for the past 30 years led him to create a revolutionary guide to achieving success in show business and life. Bernard has started the careers of many well known television and film actors around the world including Cameron Diaz in “The Mask” with Jim Carrey. As well, his techniques have been featured on television shows and magazines all around the world. 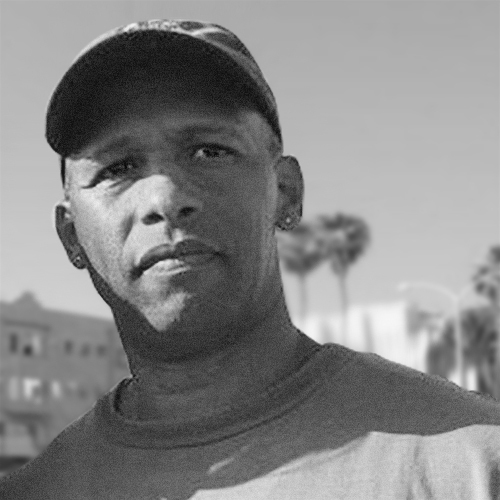 In addition to the studio, Bernard coaches actors on movie sets and repeatedly gives his Masterclasses in London, Rome, Berlin, Moscow, Paris, and L.A. Bernard dedicates his work to helping actors fulfill their true potential, by becoming the person and artist they have always wanted to be. Nourbol is the founder of the MSA & Circus Arts and a graduate of the world famous Moscow State Circus School, where he earned a Master of Sport. He first came to the United States to perform with the Ringling Brother and Barnum & Bailey circus where he performed extensively with both the Red and Blue units. He is the leading Sports Acrobatics & Circus Arts trainer in the Chicago area and has worked with many local circus groups, including the Actors Gymnasium and the Midnight Circus. Nourbol has recruited some of the most experienced trainers to educate, motivate and inspire people of all ages to participate in Circus Arts program. You can learn more at www.msacircusarts.com. is the Founder of The Actors' Network, where the credo is to "learn from the mistakes of others…you don’t have time to make them all yourself!" He also created the extensive interview series, ActorBizGuru, voted #1 online educational resource by BackStage West. A Nashville native, Kevin began his performance career in Atlanta in the mid-80s, and is today a veteran actor in Hollywood. He has nearly 60 credits including Guest Starring on Aquarius, Criminal Minds, Bones, Castle, Touch, CSI: Miami, Justified, Leverage, Lost, 24, Desperate Housewives, NCIS, Alias, CSI, Judging Amy and dozens more. Want to apprentice with The School?